AMMONNEWS - Trademarks produce chocolate packaging in a specific shape to help consumers easily differentiate between each brand. Some companies are unable to change their current brand shape because it may lead to financial damage. A bigger issue is when competitors try to imitate the shape of a successful brand. This matter has led to several court cases. In the chocolate industry, the ongoing disagreement regarding shapes is complex. KitKat is one of the biggest chocolate companies that is struggling against competitors. According to FastCompany, distinguishing KitKat from other chocolate brands is hard because it does not have a unique shape. KitKat began using the shape in 1935, and Kvikk Lunsj, another chocolate brand, started using the same shape two years later because the chocolate brand did not have an outer original look. 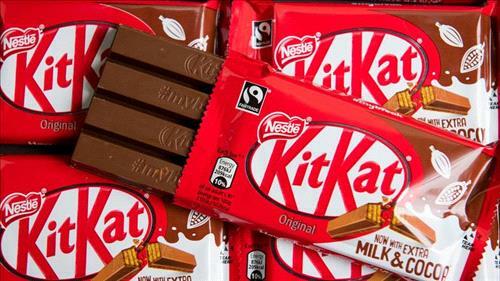 After the UK court in 2015, Cadbury justified that the only reason KitKat is shaped the way it is, is for consumers to easily break each finger apart. In 2002, the EU Intellectual Property Office (EUIPO), approved of KitKat’s shape since it was able to gain recognition among 10 of the 15 EU countries. However, the chocolate’s current position is in danger which may cause it to exit EU trademarks.